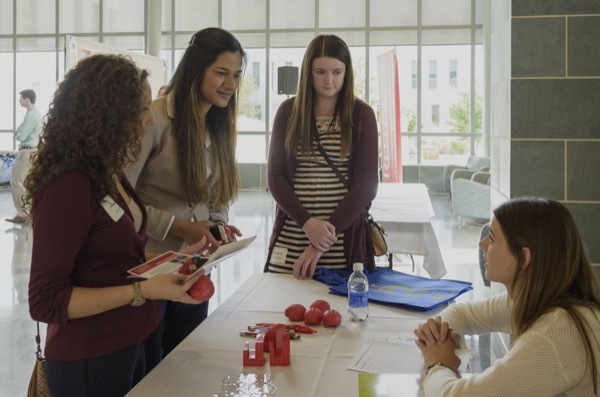 UD's Department of Biomedical Engineering hosted the inaugural Mid-Atlantic BME Grad Fair on Nov. 14. Poster winners are (from left, front) Lidya Abune and Erica Comber and (back) Sarah Libring, Asena Abay, Kevin Pineault and Peter Sariano. 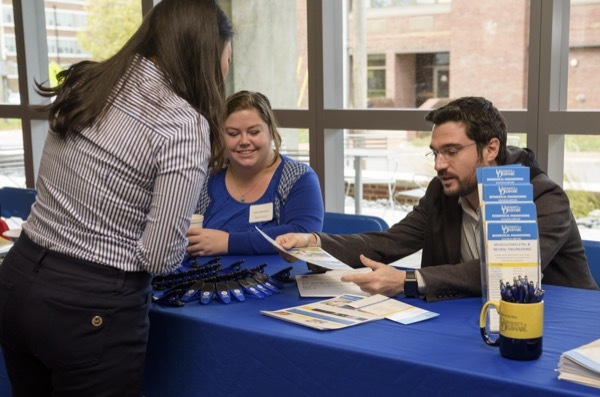 11:22 a.m., Nov. 30, 2015--The Department of Biomedical Engineering at the University of Delaware hosted the inaugural Mid-Atlantic BME Grad Fair on Nov. 14 in the Harker Interdisciplinary Science and Engineering Laboratory. 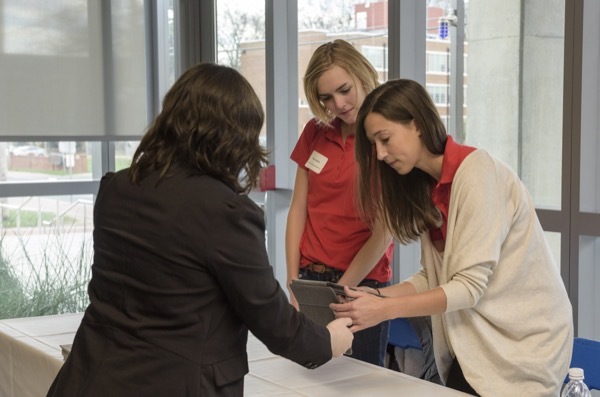 The event, which included graduate program exhibits and undergraduate research posters, was held to give prospective BME graduate students access to information and foster networking with programs in the region. Attendees included 36 undergraduate students from 11 schools: Bucknell University, City College of New York, Drexel University, Johns Hopkins University, Lehigh University, New Jersey Institute of Technology, Rowan University, Rutgers University, Temple University, University of Delaware and University of Maryland College Park. All of these schools that have graduate BME programs set up exhibits. The event was very well received by department representatives as well as prospective students. 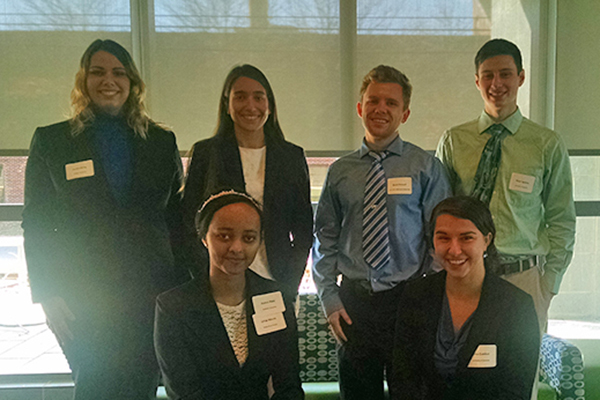 Department representatives said they valued the opportunity to meet with students who are really interested in research and graduate school, and they liked the unstructured atmosphere and chance to mingle. Attendees commented that they enjoyed connecting with other BME students and learning about their research.